Managing director, Pete Hambrook first established Sullys Framing in 1998 after working in the framing industry for 10 years. With 30 years of experience, Pete now runs one of the foremost framing services in South West England, catering to clients such as The National Trust and The Royal Cornwall Museum. Sullys have a large range on display in their showroom in Penryn, and take pride in their bespoke customer service. They also stock a variety of glass, ranging from regular to museum quality. When you bring a piece of artwork in, you will be seen by a framer and receive the best advice possible. Sullys also cater to artists, galleries and exhibitions. 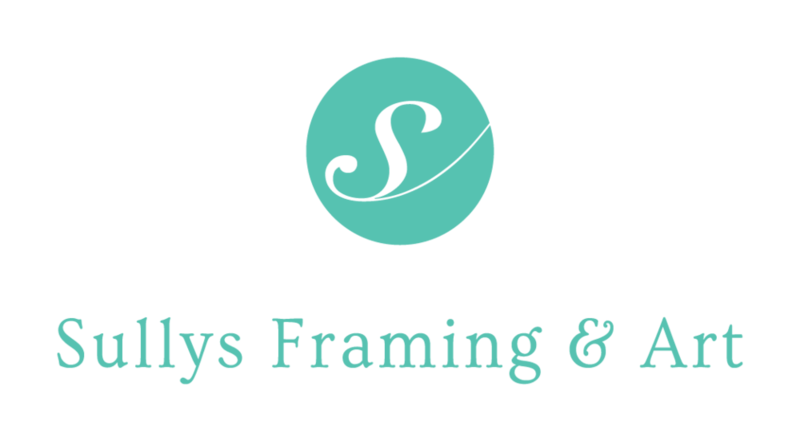 Sullys Framing is a successful businesses in the Falmouth Area and one of the largest bespoke frame shops in South West England. It offers a wide range of mouldings and services. Sullys was first founded in 1921, and has long associations with the Falmouth area. Despite many changes over the years, the Sullys name has survived and flourished. The founder of the company, Gilbert Barrows Sully (1869-1944), moved to Falmouth in 1920. He was an accomplished painter and illuminator. He set up Sullys Art Depot and sold art materials and artwork. Although the original shop fronts are now filled in, the hand gilded number '1' on the glass panel above the door still survives. There were tall iron railings and a gate around the front forecourt, but these were removed during the early part of the Second World War as part of the war effort to provide raw materials. Gilbert developed a colour printing system which he used to colour-copy his original watercolours for cards and calendar headers. He also mounted, framed and gilded artworks. There is a fine example of his work in Falmouth Parish Church, a First World War roll of honour with a hand-carved oak frame. One can only imagine how long this took to make. Gilbert's son Frank Sully (1898-1992) became a respected professional artist in his own right. Reginals (Rex) Sterling Sully (1902-1993) worked with his dad and eventually took over the family business. Soon afterwards, the name was shortened to Sullys. In 1997, Rex's great grandson Pete Hambrook opened a picture frame shop in Penryn, near Falmouth. As a result of his family history he proudly adopted the Sully's name. The business began as a one-man band and for a few years he only employed one additional framer.Many works by historic local artists have been brought back to Pete in their original Sullys frames with the old Sullys labels on the back. In 2008, Pete moved to the current Sullys framing site, formerly the Frame Warehouse on Commercial Road in Penryn where incidentally he originally worked. He now employs five staff. Original Sullys at 1 Bank Place, Falmouth.